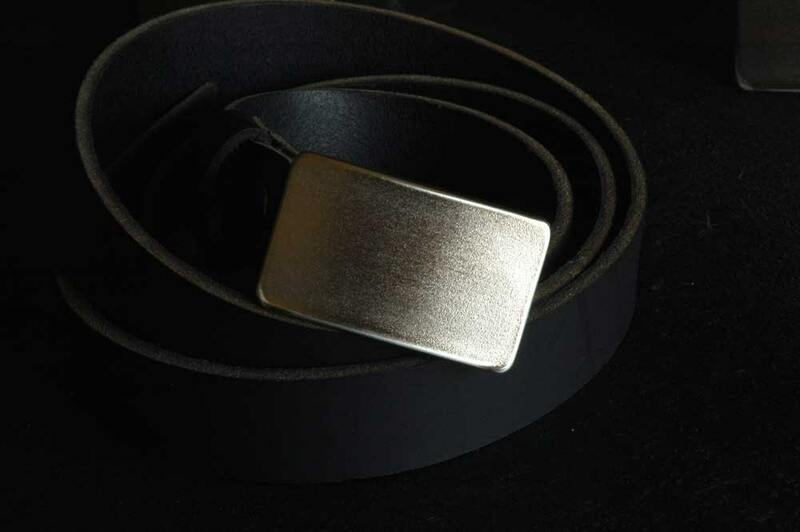 Hypoallergenic unisex raw stainless steel classic belt buckles. Signed original fits 1.25" belt. 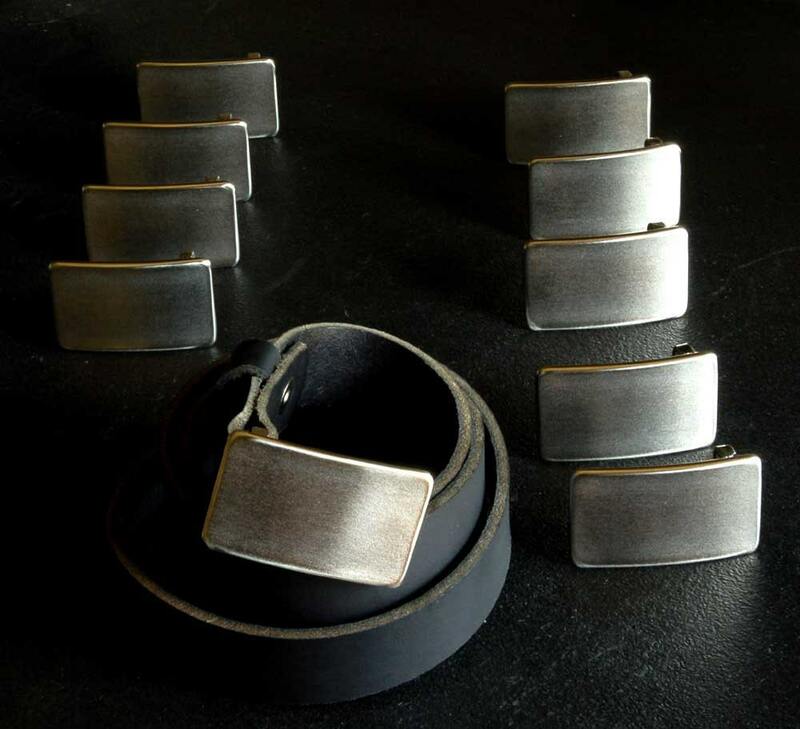 Hand forged stainless steel belt buckles fit a 1.25" wide belt. Black velvet or beige burlap gift bag is included with each buckle purchase. Please choose from our drop down variation menu. Buckles to fit 1.5" belts also available. We can etch monogram/initials on the front of buckle $30 extra Please email. We will add extra cost. 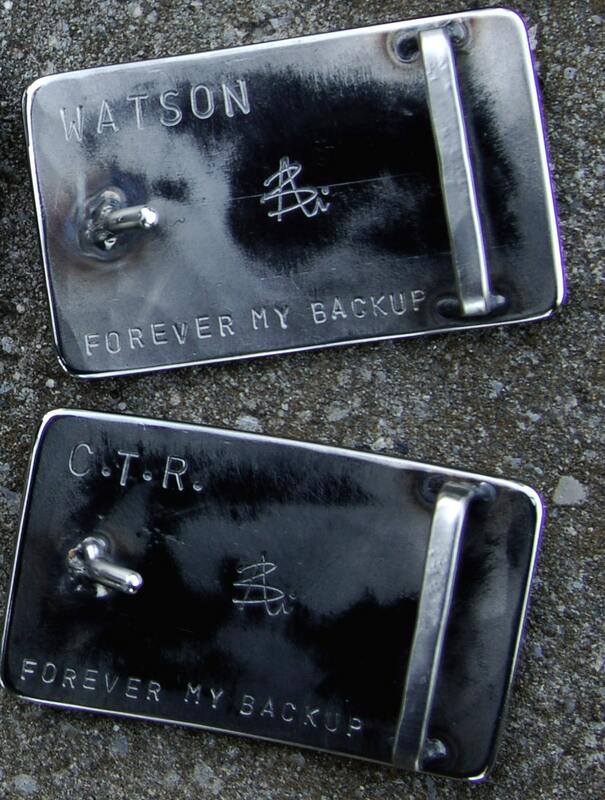 Personalization is also available on the back of the buckle also. Available in 1-1/4" width for this buckle. Also available is black bridle leather. 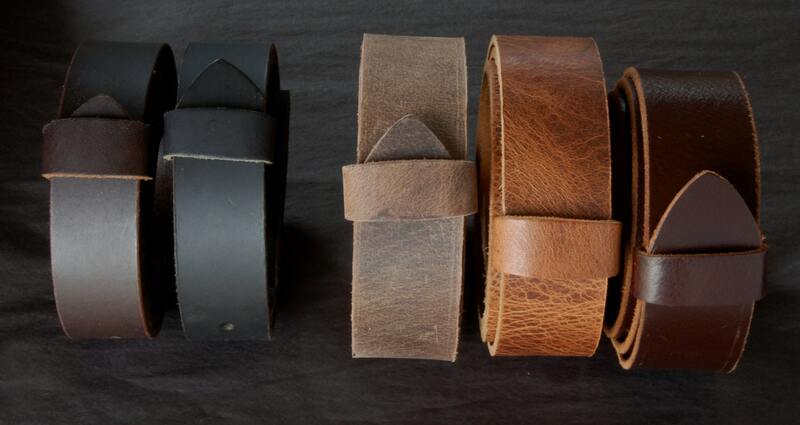 Bridle leather is a bit glossier, stiffer and thinner than the 5 buffalo leather belt choices above.